For many pharmacists, provider status is the Holy Grail — seemingly in range yet still agonizingly beyond their grasp. While some pharmacists already provide clinical services to patients — from immunizations to medication therapy and chronic disease management to health coaching and point-of-care testing — a reliable, third-party compensation model for those services has yet to emerge. Many view federal provider status as the solution not only to that problem, but also to the shrinking margins in traditional dispensing and a range of other issues impacting their pharmacy practice. They’re partially right: Recognition as providers under Medicare will give pharmacists greater stature as health care professionals, ideally more autonomy about clinical therapeutic strategies and, of course, that essential ability to be compensated for providing certain clinical services — albeit only to Medicare patients. Whether that Medicare provider compensation model would be embraced by commercial payers remains to be seen. Let’s be clear: NCPA and its partners continue to advocate aggressively for passage of the Pharmacy and Medically Underserved Areas Enhancement Act (H.R. 592/S. 109) in Congress. It’s a top priority. But as we all know, Congress tends to move at its own pace. What to do in the meantime? Well, some community pharmacists aren’t waiting. They’re combining their clinical expertise and entrepreneurial chops to craft customized solutions to local employers’ and citizens’ health care challenges — and they’re generating pharmacy revenue in the process. • In Georgia, the Academy of Independent Pharmacy (AIP), part of the Georgia Pharmacy Association, represents some 450 independent pharmacies. In recent years AIP has been reaching out to employers and employer groups for its pharmacy network services. In Valdosta, AIP member Hugh Chancy, co-owner of Chancy Drugs, contracted with Langdale Corp. to run a diabetes program for its employees. In a pilot analysis, AIP compiled numbers for the Chancy-Langdale partnership and found that from 2015 to 2016 medical spending had dropped $1,348 on average per patient, A1c dropped 0.5% per patient, 60% of individuals experienced a drop in A1c, and 26% of individuals had an A1c lower than 1%. • Eric Bandy, owner of Bandy Pharmacy in Salem, Ill., provides a prescription benefit program for three local companies. A health insurance agent designing a plan for his pharmacy convinced him to accept more risk in exchange for lower premiums for his own employees, as studies showed that only a small percentage of people meet their deductible. Bandy then pitched that model to local employers. There is also no middleman (PBM), which reduces costs. Bandy says that those employees come to the pharmacy and pay their co-pay, and the business pays the rest of the bill at the end of the month. Counting employees and some dependents, Bandy says he covers about 150 lives. • Randy McDonough, co-owner of Towncrest Pharmacy in Iowa City, Iowa, and Solon Towncrest Pharmacy in Solon, Iowa, instituted several internal best practices upgrades to provide better numbers for the employer group with which it is was working. Towncrest saved the organization $300 per member per month for more than 600 beneficiaries. This led to the payer rolling out a new payment structure for a high-performance network of community pharmacies. • Ty Stout, vice president of El Tejon Pharmacy in Bakersfield, Calif., provided disease state management programs with a local employer group for three years. He was able to save the companies $1.2 million in costs, followed by $2.2 million the second year and $2 million the third, mostly by reducing hospitalizations, cutting down on sick days, and improving medication synchronization and ­adherence. This sort of local partnering and problem solving is right in the sweet spot of independent pharmacists, who can almost always be more nimble and flexible than the large chains in customizing programs to meet specific needs. And, as these examples demonstrate, there’s a unique role community-based pharmacists can play — and are already playing — in keeping employees healthy while at the same time reducing employers’ overall health care spend. So absolutely, yes, we’re working hard to pass H.R. 592/S. 109, and we will continue to do so. When enacted, it will be a great thing for pharmacy and for patients. But for innovative pharmacy owners, waiting for it need not be a business strategy. 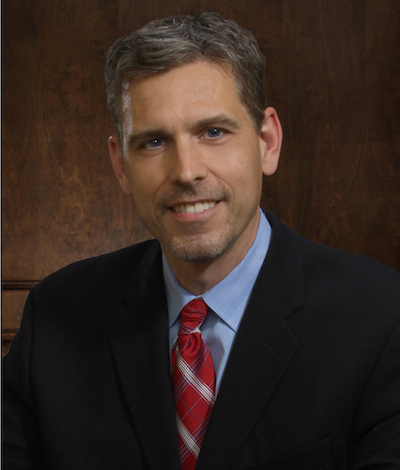 B. Douglas Hoey is chief executive officer of the National Community Pharmacists Association. He can be contacted at doug.hoey@ncpanet.org.